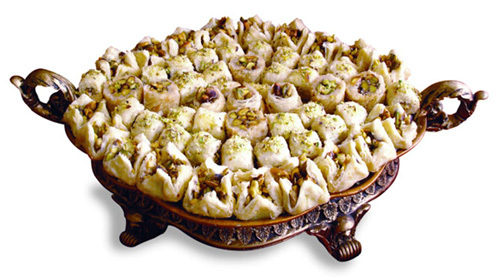 Pastries made, with in house fresh fillo paste and assorted nuts such as pistachios, almonds, and pine nuts. 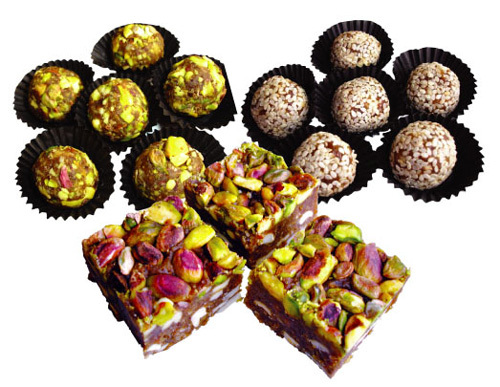 A very tempting sweet made with quality pistachios, cashew nuts, and pure wild honey. 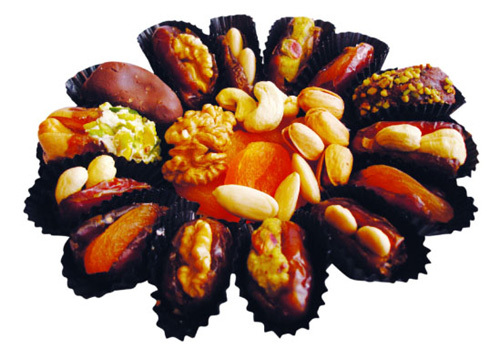 Quality date with lots of nuts. 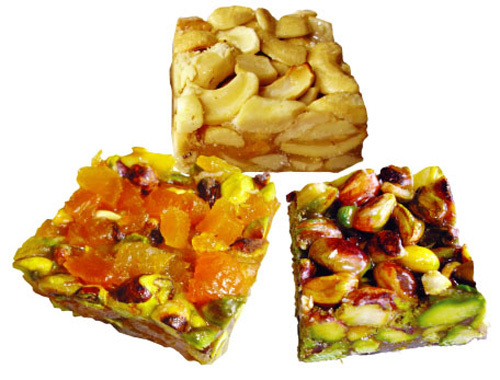 A healthy delight. 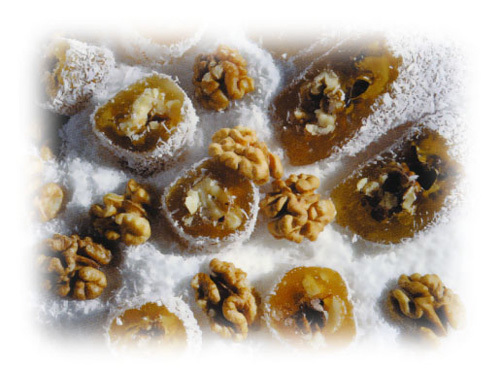 Premium dates stuffed with nuts. 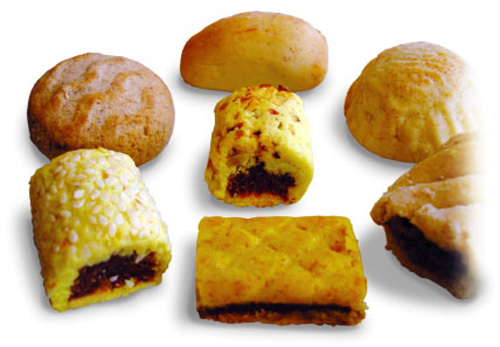 Quality Cookies, with lots of dates and nuts. 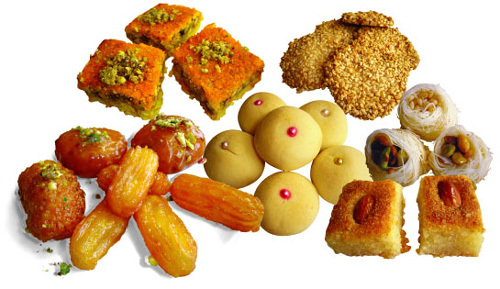 A Healthy Delight. 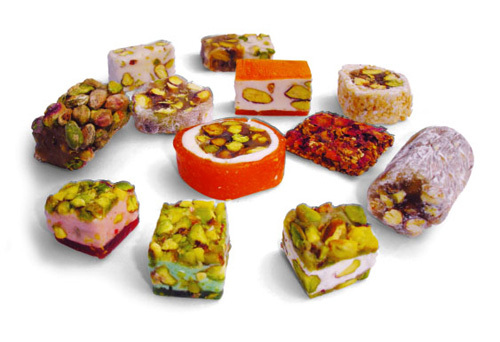 The unique pastries made with quality ingredients. Imported from it's land of origin. 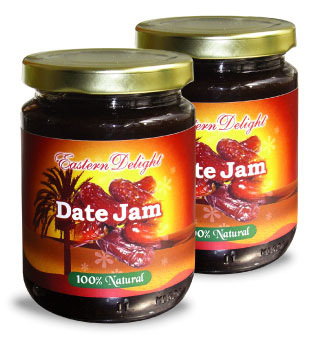 Imported date drinks, and jam.